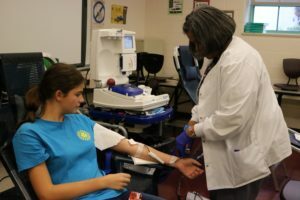 Maggie L Walker Governor’s School and the American Red Cross are hosting an upcoming blood drive. This is our last blood drive for the year at Maggie Walker and we are really hoping for a big turnout. Remember if you’re 16 you’ll need to print the permission form and bring the signed copy with you. The Red Cross also has the Rapid Pass check-in online to help save you time, so check it out. Thank you for helping to save 3 lives with your donation.